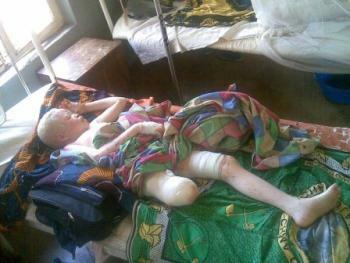 Albinos are persons with Albinism. 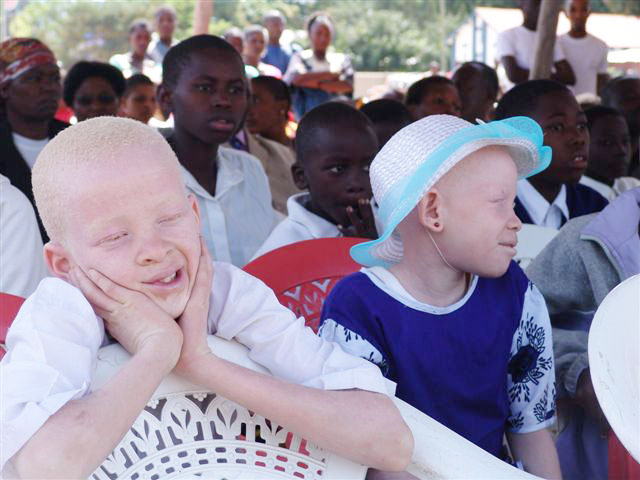 Albinism is a rare, non-contagious, genetically inherited condition in both genders, regardless of ethnicity, in all countries of the world. 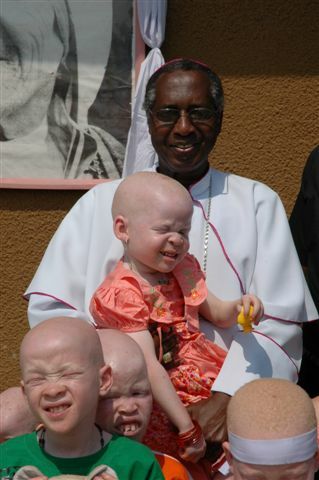 Both the father and mother must carry the gene for it to be passed on even if they do not have albinism themselves. The condition results in lack of pigmentation in the hair, skin and eyes, causing vulnerability to sun exposure and bright light. Almost all people with albinism are visually impaired with the majority being classified as "legally blind." 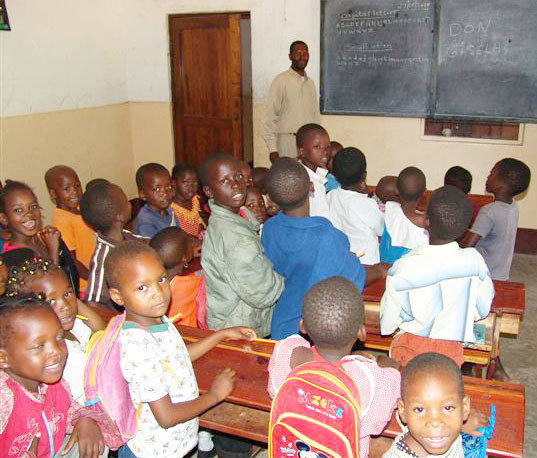 UNIVERSAL INITIATIVE is a public, charitable, non-profit FOUNDATION with a global view to assist financially and with technical expertise educational, social welfare, medical and medical research institutions. Multiple projects are considered at one time. While numbers may vary, in North America and Europe it is estimated that 1 in every 20,000 people have some form of albinism. 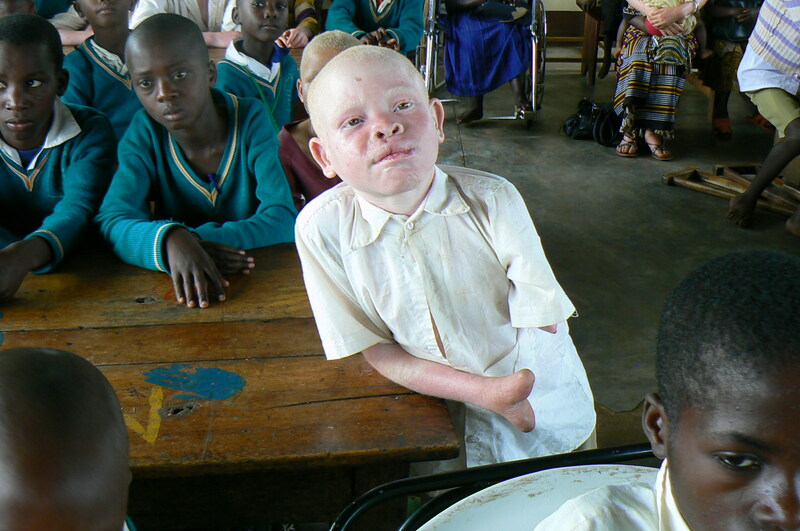 In Tanzania and throughout East Africa, albinism is much more prevalent with estimates of 1 in 2,000 people being affected. 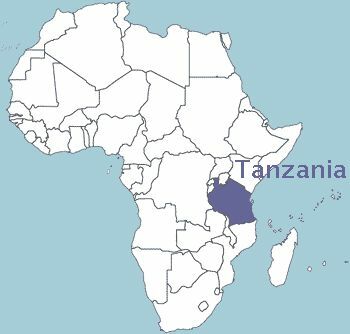 Tanzania, East Africa, has one of the largest albino populations in the world - as many as 150,000 according to some estimates - and they are being targeted for their white skin! 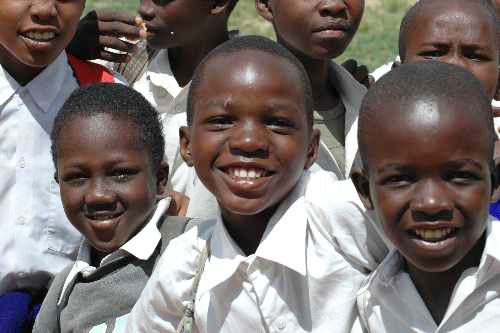 Please make your donations via PayPal's secure site today!